Cold, grey, winter days are best spent inside, cozied up in an inviting bar, where the drinks are warming, the couches comfy, and the fire aglow. Looking to hunker down in the comfort of a bar on a chilly evening? 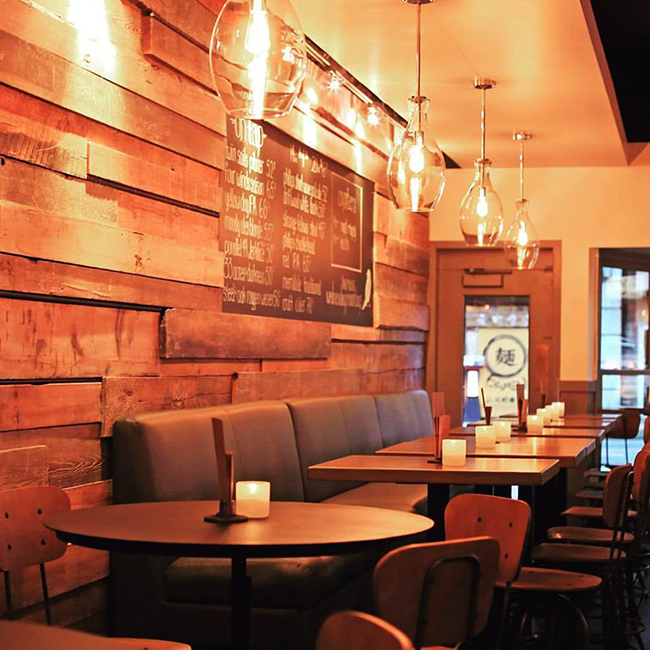 Here’s a list of the best cozy bars in Vancouver. While The Distillery plays host to quite a boisterous crowd come the weekend, during the week the Yaletown locale offers a much more chilled affair. While patrons have their pick when it comes to seating, it should be noted that towards the back of the room, a huddle of inviting leather couches sit in front of a roaring fireplace, keeping those perched at its side toasty warm, especially on a chilly winter’s eve. 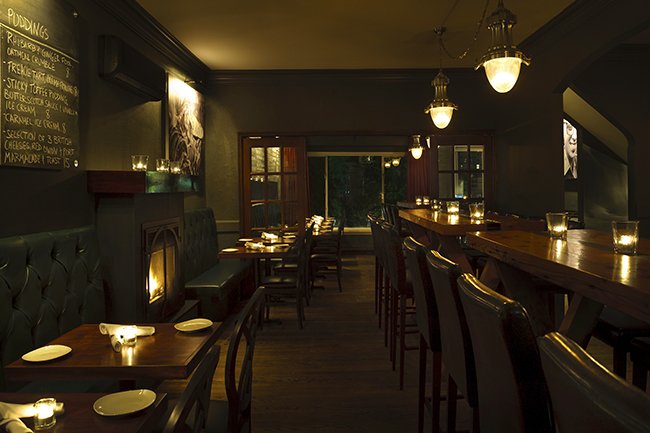 Home to both a gorgeous dining area and well-stocked bar, The Oakwood Canadian Bistro in Kits comes complete with its own fireplace. For those venturing out on a cold and miserable eve, The Oakwood is the perfect place to retreat too. 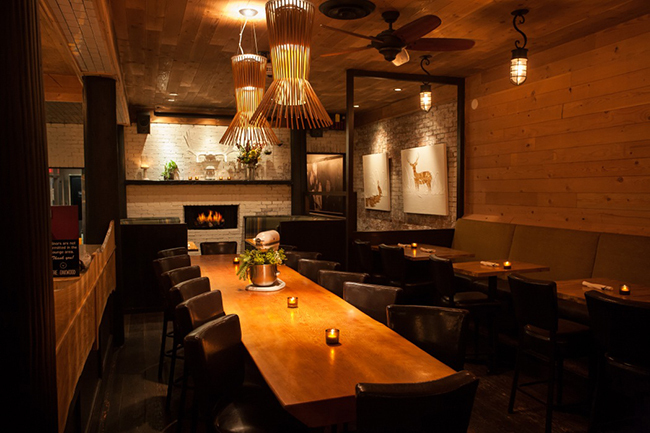 With a positively cozy atmosphere, those seeking fireside seating should try and snag themselves one of the booth seats. Intimate and refined, these are two traits that this English club exudes. Boasting tapestries, leather chairs, and a cozy fireplace, the Gerard Lounge (a favourite haunt for businessmen and visiting celebs), is beautiful spot to enjoy a cocktail and light bistro fare, particularly when you’re looking to escape the rain. This inviting British gastropub, situated in a little red house built in 1903, becomes even more alluring come winter when its crackling fireplace is alight. No matter where visiting patrons plonk themselves, either at a table or a stool at the bar, they’ll be able to feel the warmth radiating from the fire while they wine and dine. 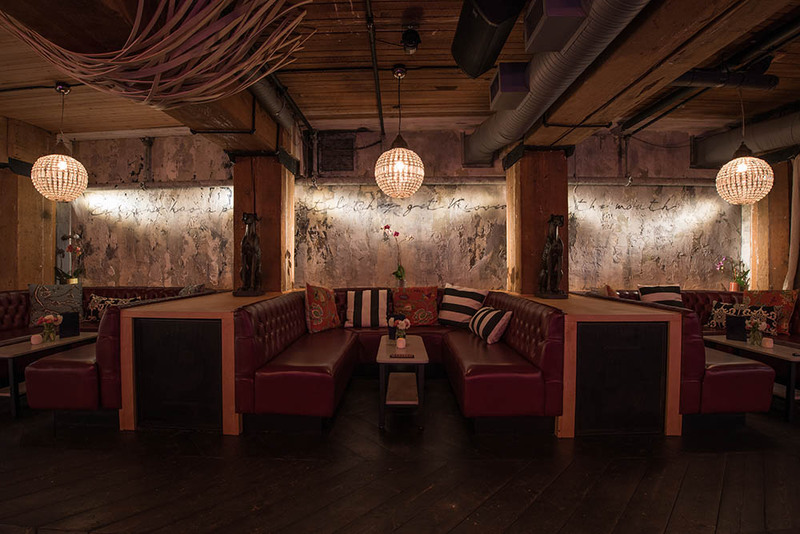 You can’t get much cozier than this dimly lit Gastown haunt. Furnished with antiques from the early 1900s and custom creations, Pourhouse is the ideal place for those seeking refuge from Vancouver’s frigid weather. Enjoy creative cocktails, warming seasonal fare, and the Water Street locale’s vintage charm. With warm lighting, glowing candles, and a gorgeous woody interior, this recent West End addition is the perfect place to head to if you’re seeking a laid-back, cozy nook to retire to. Settle into the gastropub’s comfy surrounds for a relaxed evening of great food and quality drinks. Bacchus might be better known for its restaurant than its lounge, but the effortlessly romantic Hornby Street spot boasts a stunning bar, which receives a huge amount of warmth, thanks to an open fireplace. Cozy up in the upscale setting for a tipple or two. Vancouver’s newest hidden gem comes in the form of an underground cocktail club. Entered through an unassuming door on Hamilton Street, Hello Goodbye offers guests a stylized, speakeasy-esque setting to unwind in. Intimate and cozy, patrons can kick-up on the comfy couches, while sipping carefully-crafted cocktails. Cozy and casual, this natural wine-focused wine bar is a fantastic spot to while away few houses with friends, that is if you can grab a seat. The West 6th locale only boasts a mere 25 seats. Bringing a little bit of vintage Vegas to Chinatown, The Emerald Lounge offers patrons a warm ambience and many cozy corners to enjoy a range of enticing libations.